With the ice in the air today and talk of snow possible on the ranges, I am reminded of the times when snow has been sighted in the district. Many of you will have seen snow on Mt Te Aroha and on other ranges around the district over the years. There is a wonderful digital story "Snow on the Tokatea" by A Rowe that recalls the day in 1939, that snow fell in the Coromandel ranges. This is just one of many digital stories that were completed as part of the 'Coromandel Community Digital Storytelling Project.' There are several that are specific to Thames, but I'm sure you will enjoy watching them all! Many Thamesites have links with the small coastal bays along the coast. 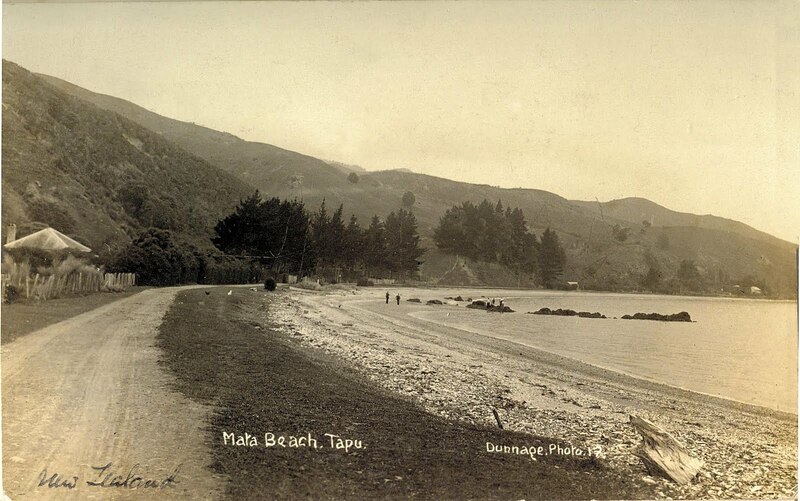 Bays such as Tapu (previously known as HASTINGS) were home to miners, farmers and kauri workers. The land rugged and hard, but a challenge met by many immigrant families. The isolation and challenges of getting to Thames for supplies and help, all taken in the stride of the early european settlers. Many families eventually moving to Thames, while many descendants of those pre1900 settlers remain in the area, to this day. 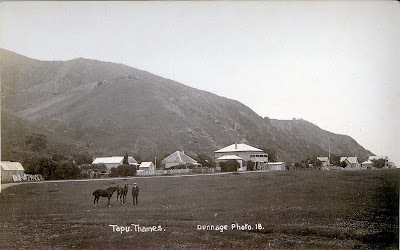 Below is just a small sample/suggestions of places where you can gain more information about the lifes of the families who settled the Tapu area. In the Auckland City Libraries map collection, there are several early land maps for TAPU (WEST HASTINGS). Just enter TAPU in search box. The Heritage collection has many early photos, others can also be found at TIMEFRAMES (Alexander Turnbull Library). 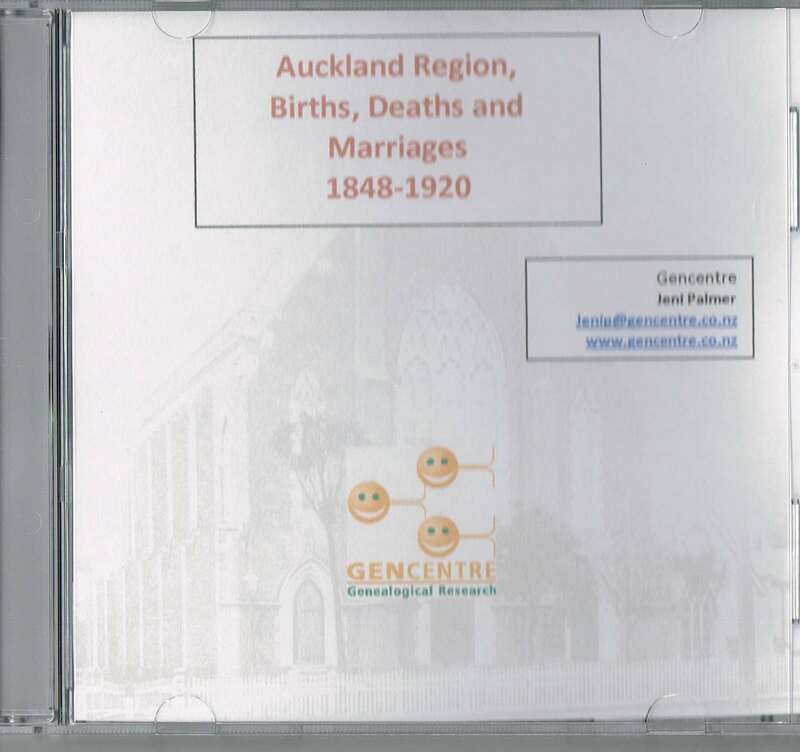 ARCHIVES Auckland has many files and attendance registers for TAPU School, the preliminary details can be seen online and viewed at the Auckland office. Thames Library and The Treasury Thames have burial record details. There are Monumental inscriptions -which include the names of many of the early settlers. Families such as: HAWKES, JAMIESON, MCMAHON, PLUMMER, TROTTER and WENZLICK. Available at The Treasury and online thanks C Church. The Treasury, Thames has: local books on the coast, reunion books, local family histories and oral history recordings on Tapu (by D Jowitt), Directories and Electoral Rolls, photos, mine and battery details. The TREASURY (Thames Coromandel Heritage Trust) site has new information related to the Boer War. BOER WAR PARTICIPANTS FROM THE COROMANDEL-HAURAKI DISTRICT is to be found on the South African War Memorial Page. It includes the name of HARRY CORNES, who was the son of Clement Augustus and Barbara Ellen CORNES. Harry was born 14 Nov 1882 at Waihou and died 11 Jan 1905 at London, England. We always believed that this was while he was still in service, but in his war file that is now available at archives, Harry had been discharged 1902. A genealogists work is never done...the next step to find out why he was in England. Another Cornes with a mention to West Africa was E CORNES, believed to be Harry's brother EDMOND MORRIN CORNES (II). In the 1900 Electoral rolls Edmond/Edmund is a miner at Karangahake, 1905 a miner at Waiorongomai and 1911 a farmer of Waihou. Edmond married ALICE MAY BROWN on 27 November 1907 at Thames. 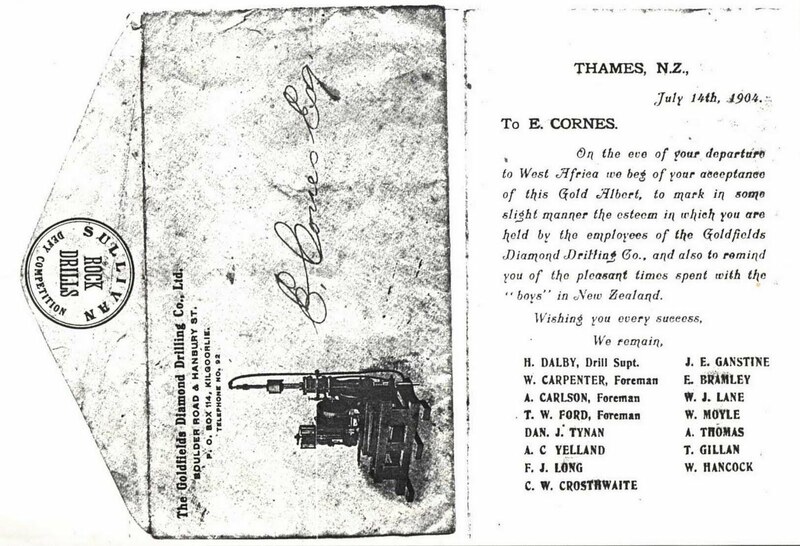 A letter sent to E Cornes is below, from the The Goldfields Diamond Drilling Co Ltd of Thames - on the eve of his departure for West Africa. I assumed this meant to the war, but given the date 1904, he may have been leaving for work with the company, or for mining. Yet another mystery to be solved. I was asked about Kauaeranga Girls School, so thought it was a good opportunity to put a photo here. 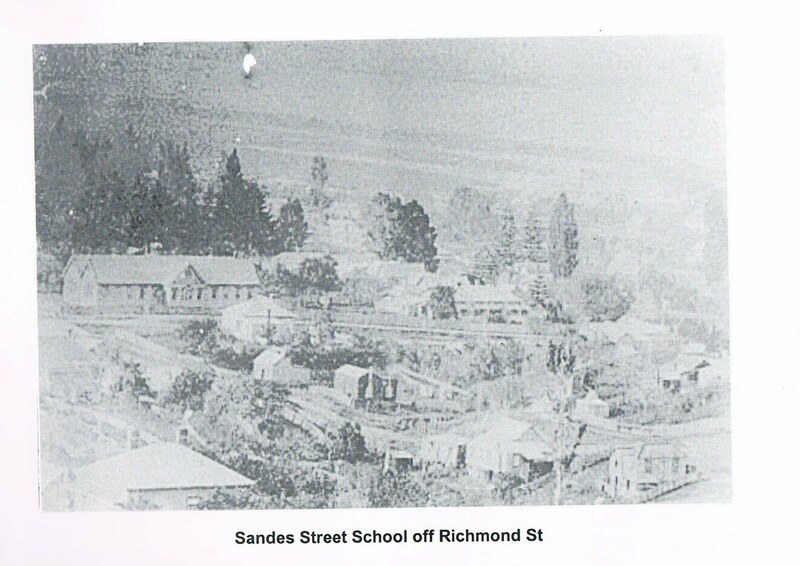 Not great quality, but shows you Kauaeranga Girs aka Sandes Street School. This was located on the corner of Sandes and Richmond Street, on the South-west intersect. Originally a private school run by Mr MCKEE was on this site, having been built on land owned by the Presbyterian Church. In the 1870s there is mention of the then public Girl's School and that there were approximately 400 pupils. 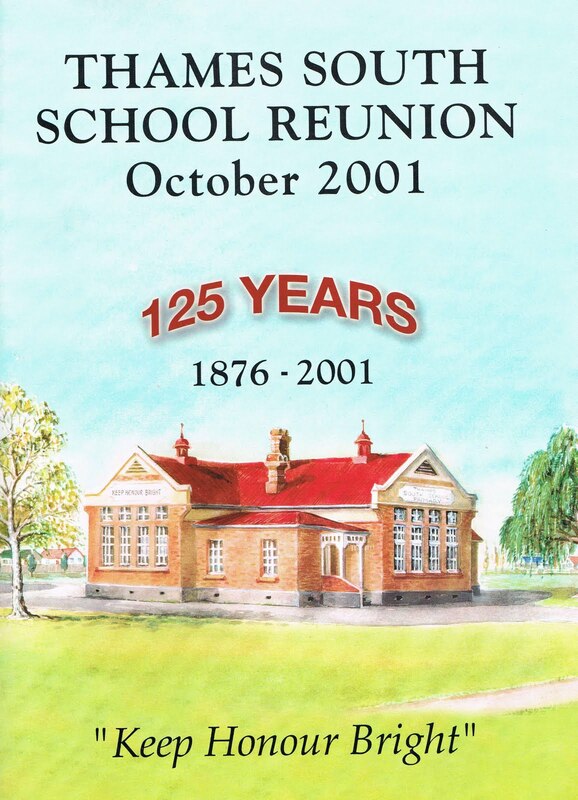 A new building was built 1880 and in 1903 when the school closed it was moved to the present Thames South School site. (Corner Rolleston and Grey Street). This was a primary school and despite the name 'girls', boys also were enrolled. Time to mention the Centenary booklets, that are a must have for most Thamesites. Contains information on: How did the gold get there, The moa hunters, the fairy people to coming of the maori fleet, Tainui conquest. Then onto the River Thames and the Thames. 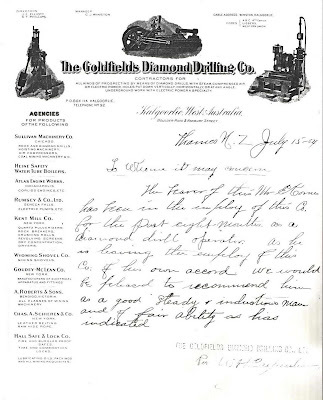 Early Mining and bonanzas followed by the decline. Features on Charles Judd Ltd and Grey & Menzies Cordial manufacturers. One of the best parts for me are the many advertisements for businesses of the time, plus there are a selection of old photos. My copy is paperback, but one of my most referred to books on Thames. 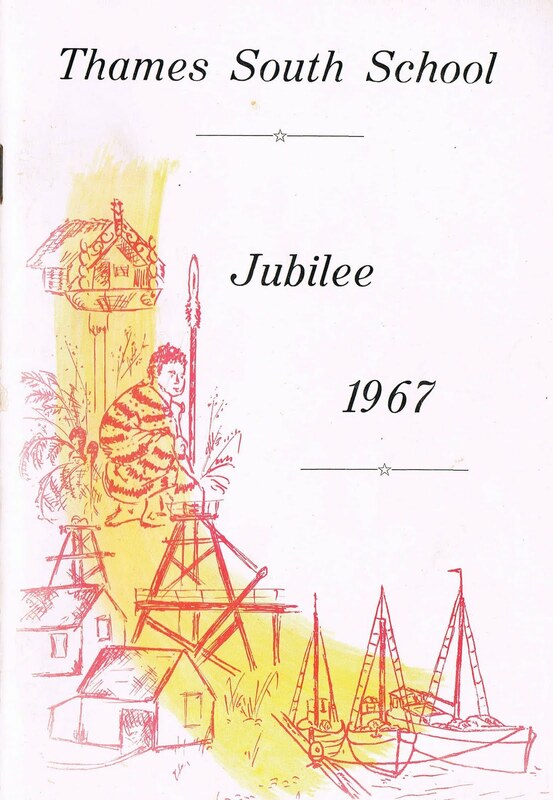 Really covers everything from great mining sections to general information on the town and formation of businesses, churches, hospital, clubs etc. Prepared for the centenary another great read and filed with pictures and advertisements that give a great reminder of the town as it was in 1973. You will find that it does have a lot of info that was in "Thames 100 years" but still well worth having in its own right. These books can be found at very reasonable prices in secondhand book stores and online auction sites. Plus there are copies in many libraries, including the Thames Library and at The Treasury, Thames. The Thames Coromandel District Council (TCDC) online cemetery database has been unavailable for several weeks - the good news is it is back online. 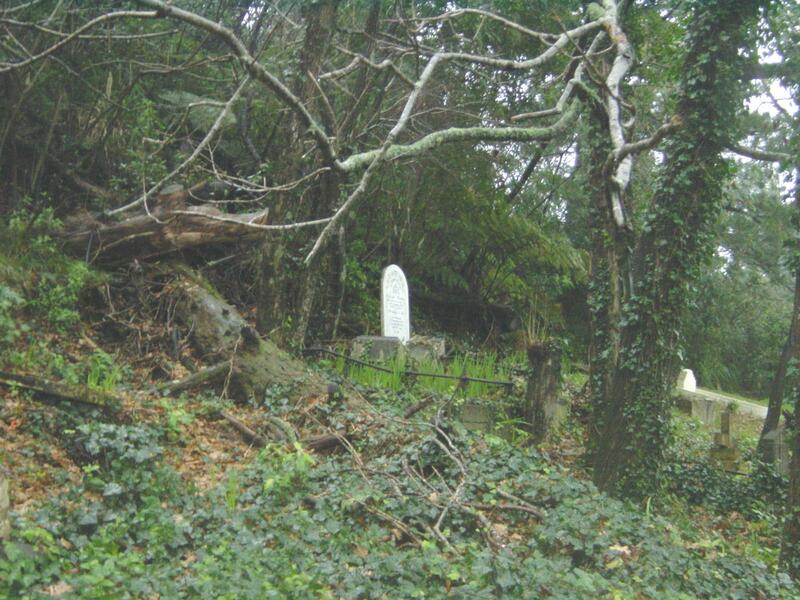 It covers a large number of cemeteries around the peninsula. The aerial photo that appears at the bottom of your search record, appears much clearer and easier to recognise the exact location of the record be searched as to approximate grave location. Also there are monumental inscription's added for several deceased at Totara Cemetery (that were not previously available online.) I will check tomorrow if this is going to be updated further. For those of you who have searched for an grave location at places like SHORTLAND CEMETERY, Thames, these new photos may be of assistance. if you are really stuck finding a grave site, ask at The Treasury, who will be able to put you in touch with people who can help find the grave site. Sometimes a different pair of eyes finds a grave site. 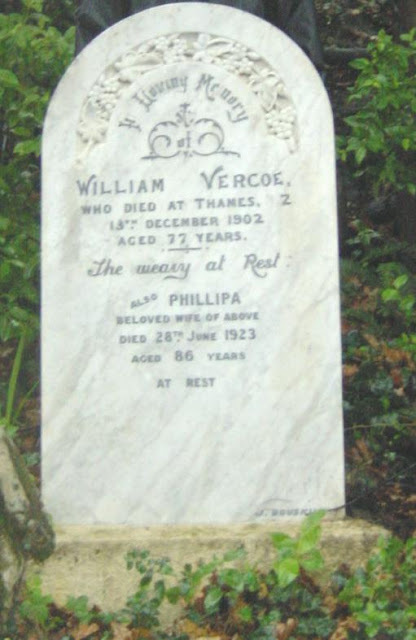 For years I had recruited family members to find the location of PHILIPPA and WILLIAM VERCOE, my GGGGGrandparents with no success. Thanks to "cousin Fay" the grave has been located. When you look at the pictures you will wonder how it could have been missed..it does stand out!!! William and Phillipa (nee Collicoat) VERCOE's family details can be found here; they came with other members of the extended family to New Zealand from Cornwall in 1871 and lived at Hill Street (Block 27), Thames. It includes material from two previous CD's with new material. It covers Bay of Plenty Times (1872-1910, Waikato Times (1872-1900), The New Zealander (1846-1866) and records from Daily Southern Cross, New Zealand Herlad, Thames Star, Thames Advertiser and Te Aroha News. You may well ask, well they are online..at least most; but I'm sure you have found like I have that the searches don't always work...especially for some names. At first glance I have found 3 CORNES notices (see below), that do not appear when I do a search at Papers Past. Many Thames miners moved to Waihi when the gold ran out. Lured by the opening of the Ohinemuri goldfields and regular employment. Large mining ventures followed at Waihi, Waitekauri, Waikino and Karangahake. 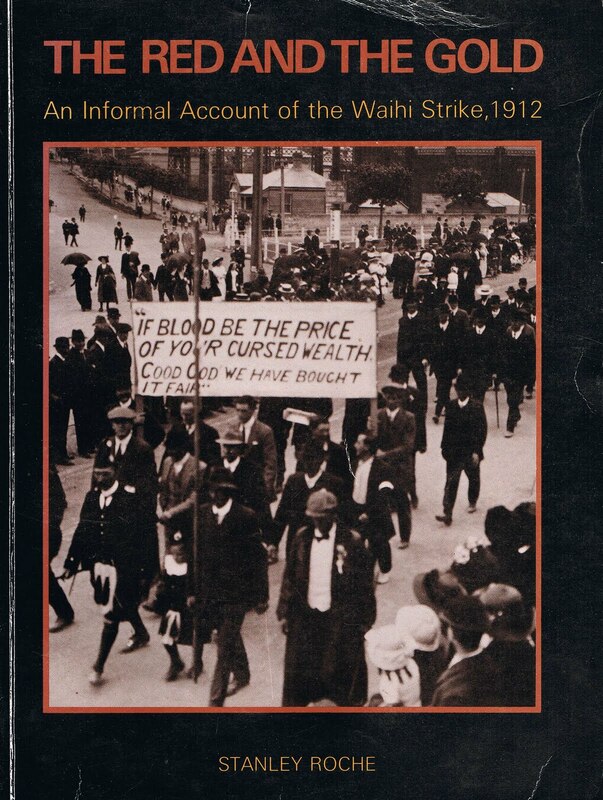 The strike of 1912, is an event that will never be forgotten and a full account can be found via many internet sources, such as the Waihi Museum and New Zealand History online..
"The Red and the Gold" by S Roche. My main purpose for posting this is to alert descendants of miners involved in the strike - The Waihi Museum are trying make contact with descendants as they prepare to remember the 100 year anniversary of the strike, next year. This ongoing series will continue to look at early sports in Thames. What was played and where? Who was involved and is the sport still being played in Thames? In October 1868 there was discussion underway regarding the formation of a cricket club in Thames. It was reported in the Daily Southern Cross Newspaper (3/11/1868) that a meeting had been held in the Shortland Hotel, where the following resolution was passed :”That a Cricket Club be formed at this place, to be called the Thames Cricket Club.” Mr MACKAY was asked to be President of the Club.. First office-holders and members were: Mr SANDES (Sec), Mr POWER (Treasurer), Mr LLOYD (Vice-Pres), MR R H BARTLETT (Chiarman), Messrs C HESKETH, TILLOTSON, STONEY, H FENTON, A GLOVER, R GLOVER, LACON, J STEVENSON, A STUBBING, LAWSON, ALPE, R C JORDAN, W LYELL, W WOOD, D TOOKEY, E SCOTTER, W BUSH, F SIMPSON, OTWAY, GEORGE HULME and H NEWSTEAD. In the first years there are mentions of training and games being played at Tararu, Shortland Flat, Waiokaraka Flat and Parawai at Spencer’s Gardens. 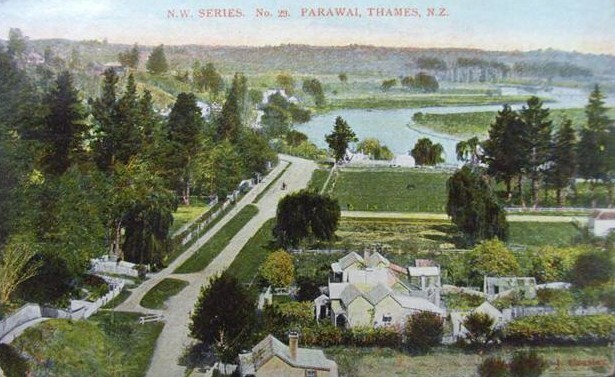 The Tararu Sports grounds being near the present Retirement Complex (old District Homes), Waiokarka Flat being near the old Waiokaraka (Central School). The exact location in Shortland varies, but there was a lot of vacant land near the present South School in Grey Street. Mr Spencer of Spencer’s Gardens in 1875, gladly gave permission for the development of a cricket pitch in one of his paddocks that were south of the present day Barrets Road. (towards the Parawai School in Lowe Street). The prospect of cricket in Thames was an attractive proposition for many and they appear to have relished matches amongst themselves and more importantly with other districts. Matches were held in areas such as Coromandel and in Auckland. Plus with grounds established they regularly asked teams to come and play. 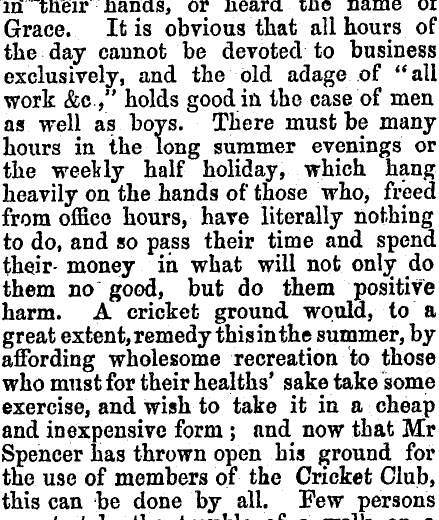 A letter to the Editor of the Thames Star 19/7/1875, urged as many men as possible to turn up at Spencer’s paddock and prepare a pitch. They needed good conditions in order to improve and be competitive. ﻿In subsequent years cricket was played at Flett’s paddock near the Rob Roy Hotel, then Dodd’s Paddock at Parawai. In later years, housing development in Thames again caused problems as to where cricket could be played. In 1913 (Thames Star 5/9/1913) it was necessary for Mr W R GLEESON (Secretary of the Thames Cricket Association) to write to an Auckland team expressing that their 1914 match would have to be cancelled due to problems finding a suitable ground. It was noted that Thames was sorely in need of a Sports ground. Married: STEEDMAN, GRAY, LAWLESS, HARRISON, LOUGH, WEST, YOUNG, MUNRO, HAWLEY, NODDER, SMITH, ANDREWS, MAINGAY, MURPHY. Names of clubs included: Tradesman, Miners, United, City, City South, Foundry, Shortland, Grahamstown, Tararu, Waiokaraka, Rovers St Alban's and various volunteer militia groups. In 1891 The Thames Cricket Association was formed, amongst the pressing matters over the following years were general rules applying to membership and the game. (Thames Star 29/8/1892). In 1892 there were four affiliated clubs: The Thames, Rovers, Tararu and United. With teams coming to play in Thames, matches were also played away. An 1878 report outlined an unsuccessful but enjoyable trip to Coromandel via the ps. Ruby. The result was: Coromandel 1st Innings 97, Thames 1st Innings 20, 2nd Innings 58. Coromandel won by 19 runs, not required to bat their 2nd innings! Cricket continued but obviously on a much smaller scale, adjustments required as the boom population levels receded. A summary on 1900 cricket is found in the Cyclopaedia of New Zealand. As early as 1881 changes in Thames were having a flow on effect in areas such as sport. A concerned writer noted (Thames Star 12/3/1881) that “Some years ago it was the boast of the Thames that we had the best eleven in the North Island, but we are sadly aware of the fact that we are almost worse represented in the cricket field than any community north of the Cook’s Straits.” This sad demise in sporting ability was traced to “the departure of many men invaluable in the cricket field.” Mining was in decline and scores of young men departed the area, in search of riches and employment in other parts of New Zealand and overseas. Today cricket continues - played principally on the grounds at the back of the Rhodes Park Grandstand. No doubt Thames faces many of the same problems as those experienceds during the post mining years; as students leave High School and Thames for employment and educational opportunites - the numbers wanting to play cricket are reduced. On my Thames website are many links for Jeff Pyle's postcard pages that are now broken links; so please take this opportunity to find Jeff's new website/blog. It is called E-LIBRARY NEW ZEALAND. 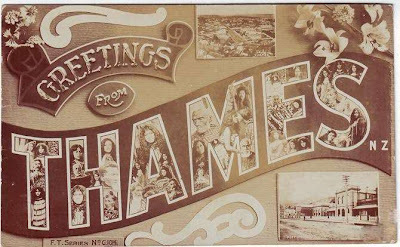 This link takes you to a summary page of all the postcard categories and here are the DUNNAGE postcards of Thames. A couple on goldmining in the area. Lots to explore. There is a collection of Dunnage Postcard images at The Treasury. 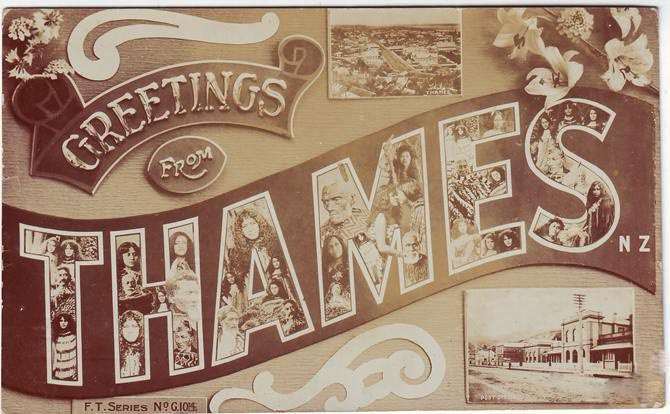 They provide a view of Thames in the early 1920s. 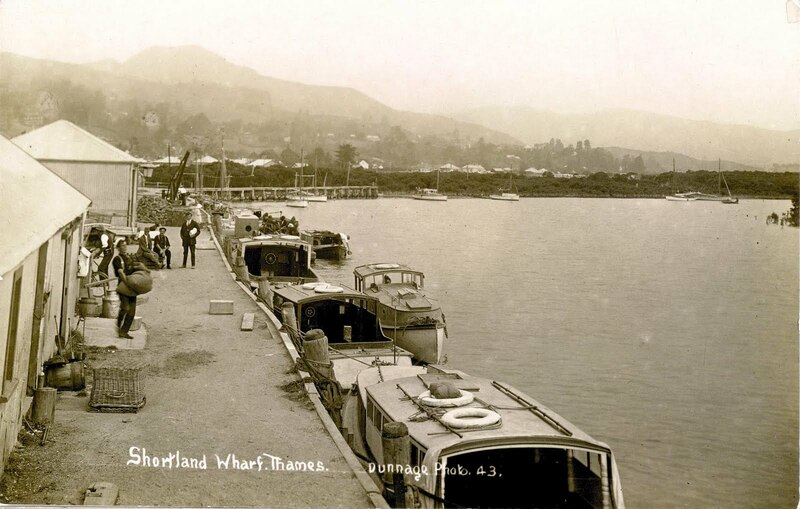 Above postcard (No 43) shows the busy Shortland Wharf, the heart of Thames for many years. Over the years boats lined the wharf, stacked in rows, as fish were unloaded and processed in sheds at the Wharf.